A new study has found that walnuts can help reduce the risk of depression, as well as improve concentration. Researchers from the University of California, Los Angeles (UCLA), conducted the study on American adults. They studied data from the National Health and Nutrition Examination Survey. Close to 26,000 people were questioned about their diet and depression symptoms. Participants were asked to rank how often they experienced: sleeping issues, exhaustion and trouble with concentrating. The results showed depression scores were 26 percent lower for participants who consumed walnuts. They also found other nuts only reduced the risk by 8 percent. Those who consumed walnuts had more energy, better concentration and felt less hopeless. The team noted walnuts' effect was especially strong among women. "According to the Centers for Disease Control and Prevention (CDC), one out of every six adults will have depression at some time in their life. It is important to find low-cost interventions, such as dietary changes, that are easy to implement and may help reduce the incidence of depression," study author Lenore Arab, from UCLA, told a news portal. 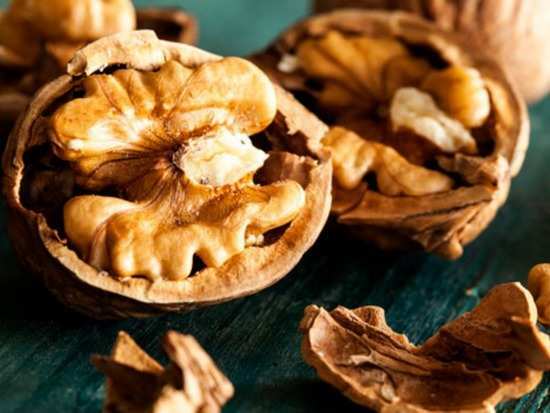 Adding, "Walnuts have previously been investigated for their role in cardiovascular and cognitive health, and now we see an association with depression symptoms -- providing another reason to include them in a healthy eating plan." Researchers revealed consumers of walnuts ate approximately 24 grammes a day, that is about one-quarter of a cup. 2Has #MeToo changed how we dress for work? 8Pizza or pasta? Which is the healthier one?